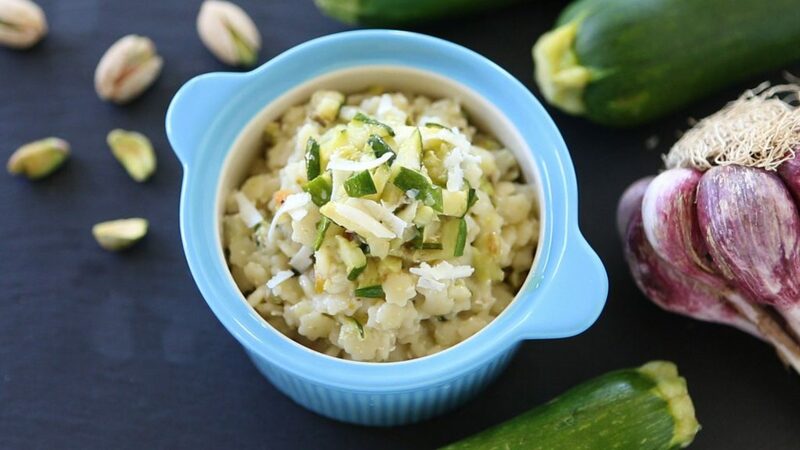 Zucchini are a summer favorite: lightly sweet background flavor, soft pulp and skin, easy to digest, so versatile. 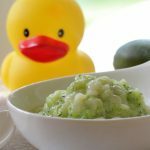 A perfect baby food ingredient! Today I’m using the zucchini for a tasty pasta dressing. I will enhance the zucchini flavor roasting them and than I will create a pesto adding pistachios and smoked ricotta. 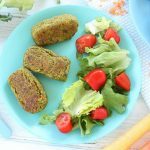 This recipe is lovely for babies (considering the texture I would recommend it starting from 9 months of age) and delicious for adults too. 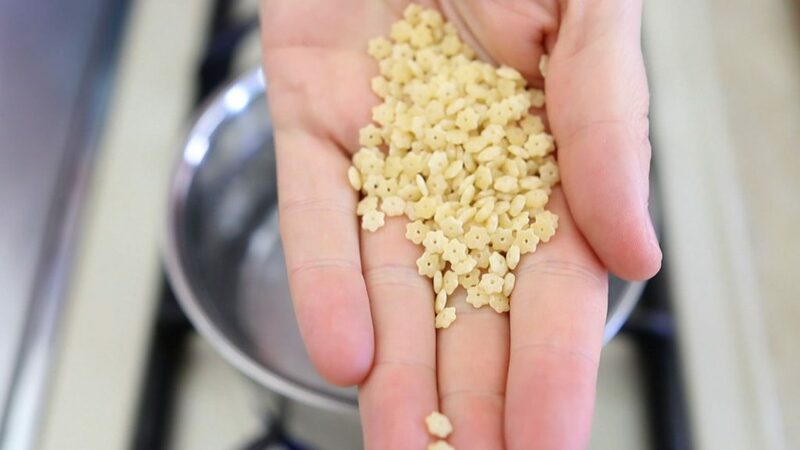 Simply change the size/shape of the pasta: small for little ones, regular for adults!! 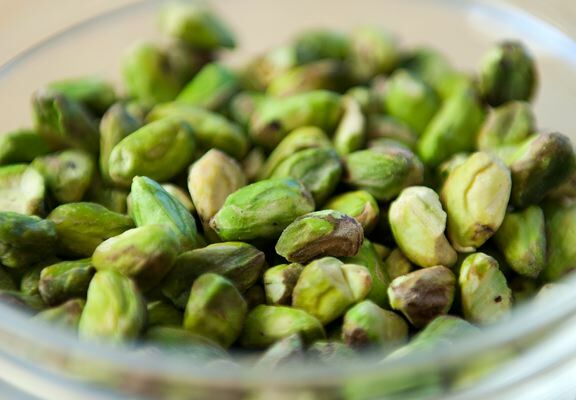 Pistachios are nuts, cousins of cashews. A good source of protein (better than eggs and chicken!!). When buying pistachios for my kids I usually prefer not salted and not shelled ones. Smoked ricotta is basically a fresh ricotta that has been baked and smoked. You buy it already smoked. 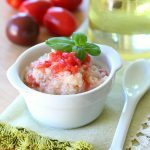 It has a firm consistency, so firm that you can grate the ricotta. 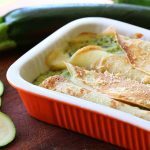 I really like it with the zucchini because adds a nice twist of flavor to the recipe. 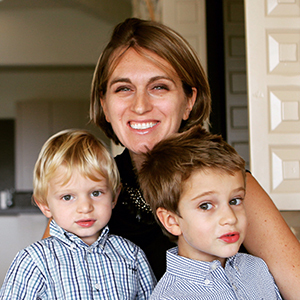 Baby Pasta recipes are a lovely example of my favorite “one family, one recipe” approach. 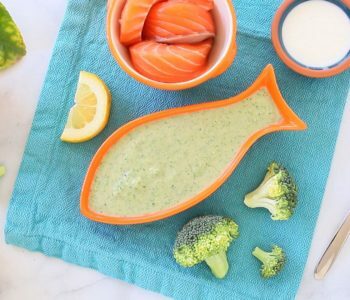 You can use the same pasta dressing and prepare a baby version and an adult version simply cooking a different size/shape of pasta. Well, if you want to save time and not clean two pasta pots, you can always cook only one type of pasta and cut it in tiny pieces for your little one 🙂 Easy shortcut! 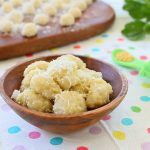 When you have kids pastina gets very handy for baby recipes: perfect size, texture and fun shape for little ones!! 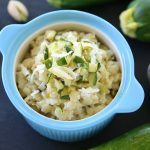 I used green zucchini, but any kind of zucchini will work. Let’s start slicing the zucchini lengthwise, 1/8 inch or 3 mm. In a small cup place few tablespoons of olive oil. 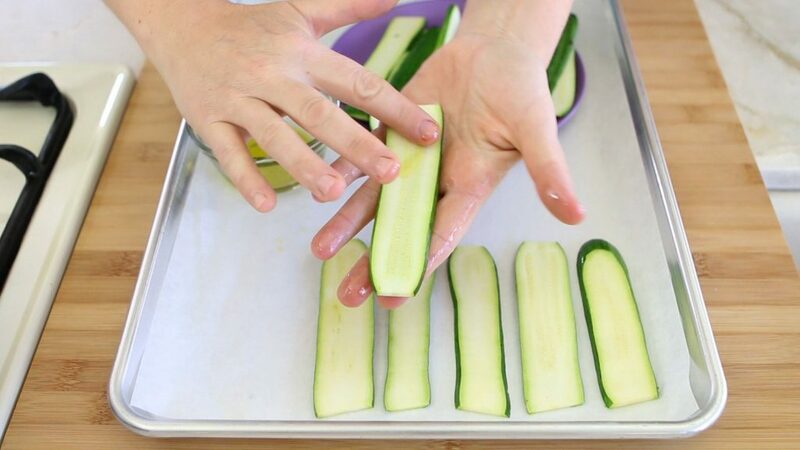 With your fingers grease the zucchini slices on both side and place them on a parchment paper on a baking sheet, one next to the other. 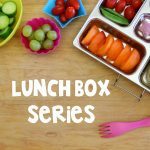 If cooking for older kids/adults you can adjust with a pinch of salt and sprinkle some dried oregano on top. Broil in the oven to 400F/180C for 10 minutes. Flip them on the other side and keep broiling for additional 5 minutes. Remove three slices and set them apart. Chop them in small small pieces. 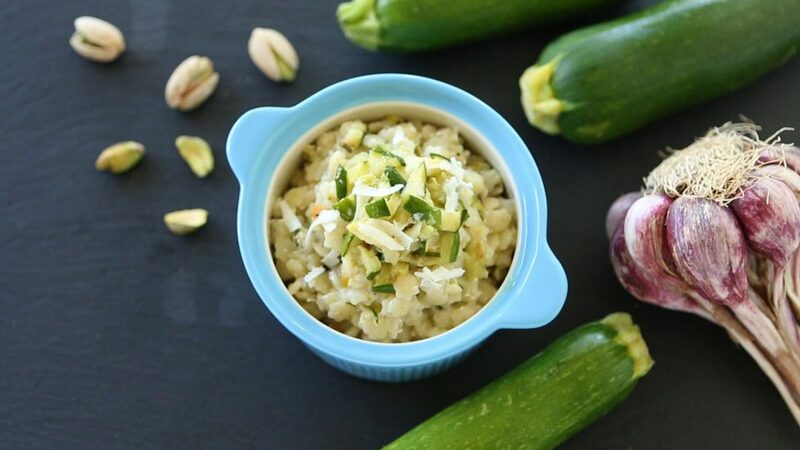 You are going to use these zucchini as topping for your pasta to give extra texture to the recipe. 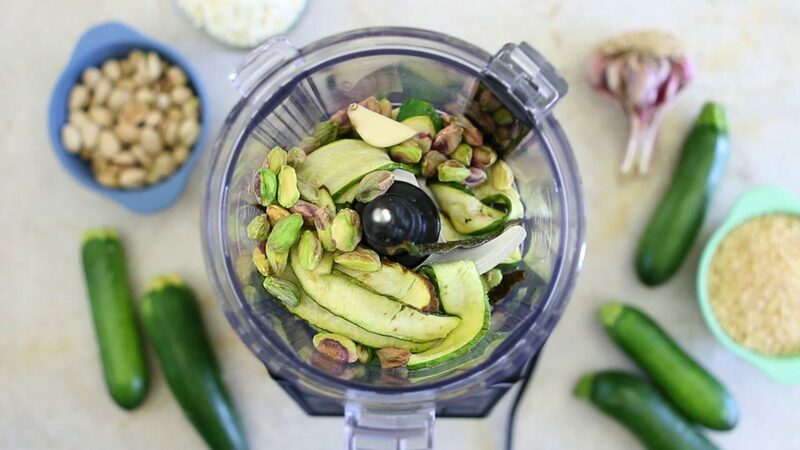 Place all the others in a food processor all together with the other ingredients: pistachios + olive oil + smoked ricotta +garlic. Blend to obtain a creamy consistency, one minute. 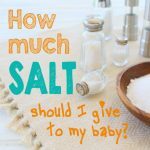 You can keep blending up until obtaining a creamy consistency, it’s totally up to your baby’s taste. 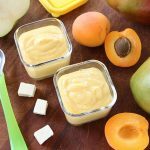 If you want to know more about baby food consistency, you might be interested in this post too. Meanwhile fill a small pot with water and bring to boil. When the water is boiling add the pasta and cook following the cooking time on the packaging. Drain. 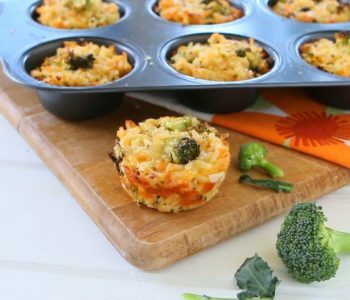 In a bowl/cup add the pasta and one tablespoon of zucchini pesto. Mix and serve warm. 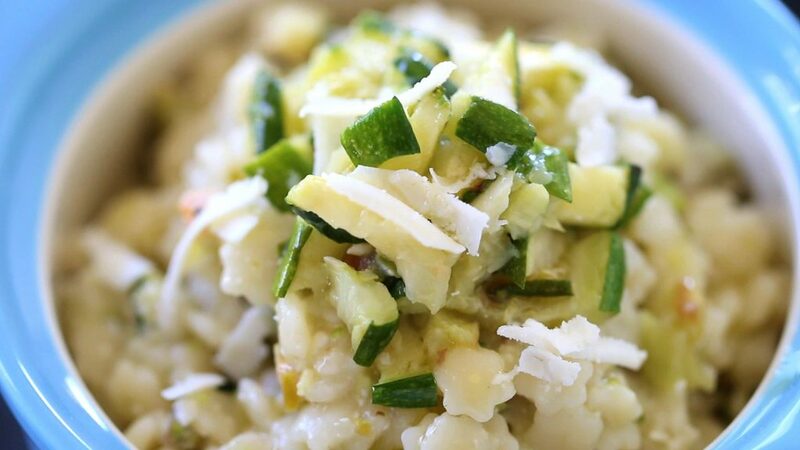 Top the pasta with the chopped zucchini that you saved before and, if you like, an extra teaspoon of grated baked ricotta. Yum!! 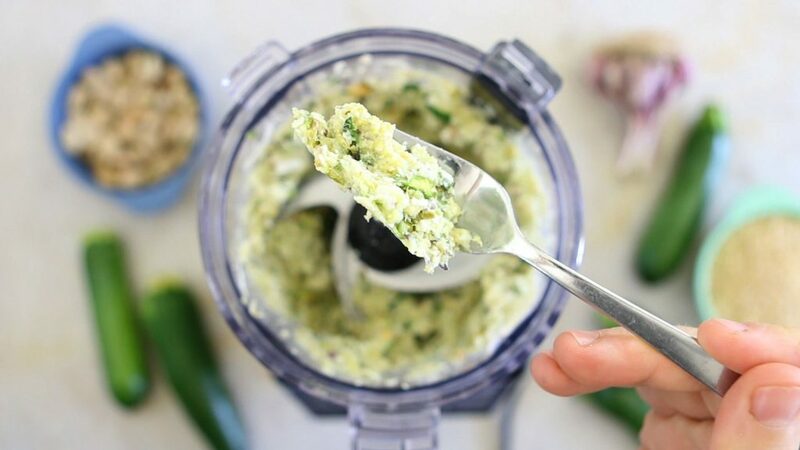 You can prepare the zucchini&pistachio pesto in advance and either refrigerate it in an air tight container for 4 days or freeze it for up to 3 months. I usually like to store the pesto and cook the pasta fresh every time. Reheated pasta is kind of chewy for me…but I admit that I am very picky with my pasta. 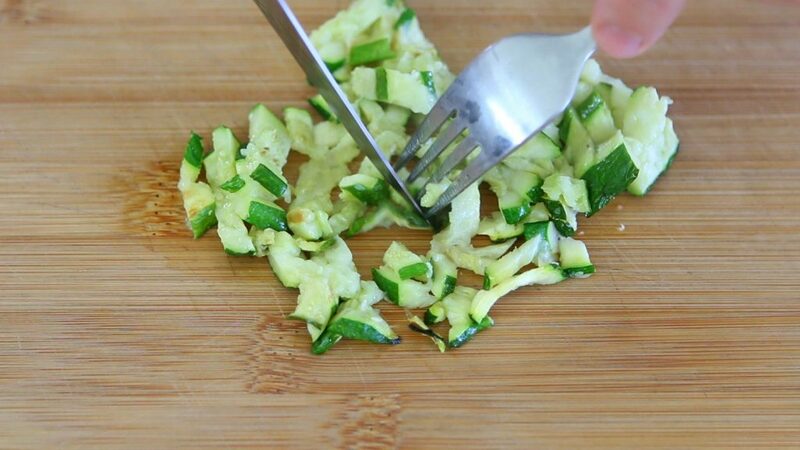 Slice the zucchini lengthwise 1/8 inch or 3 mm. In a small cup place 2 tablespoons of olive oil. 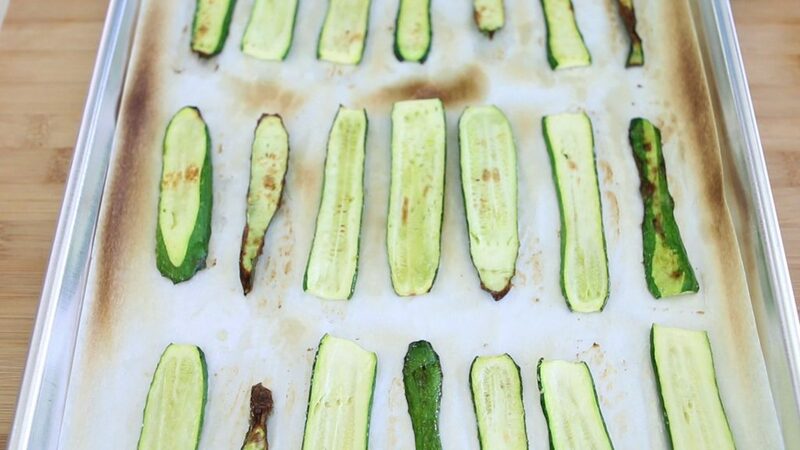 With your fingers grease the zucchini slices on both side and place them on a parchment paper on a baking sheet, one next to the other. Remove three slices and set them apart. 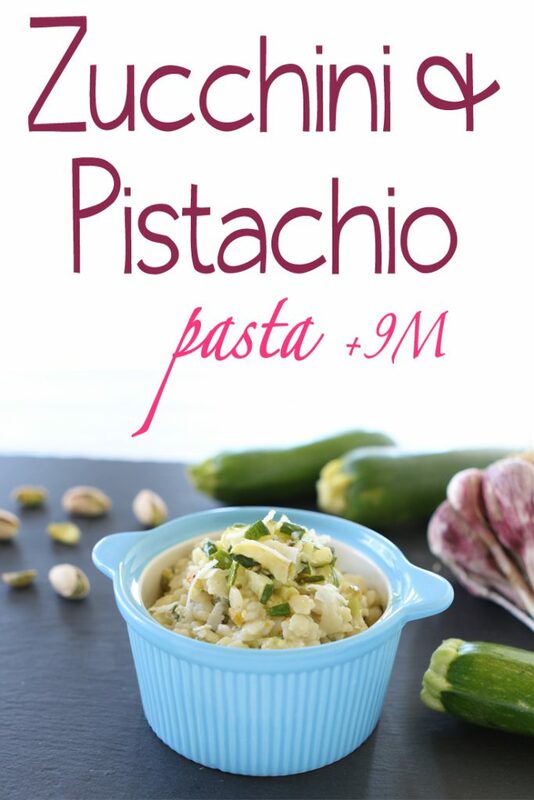 Place all the others in a food processor all together with the other ingredients: pistachios + 4 Tbsp olive oil + smoked ricotta +garlic. Blend to obtain a creamy consistency. Fill a small pot with water and bring to boil. When the water is boiling add the pasta and cook following the cooking time on the packaging. Drain. 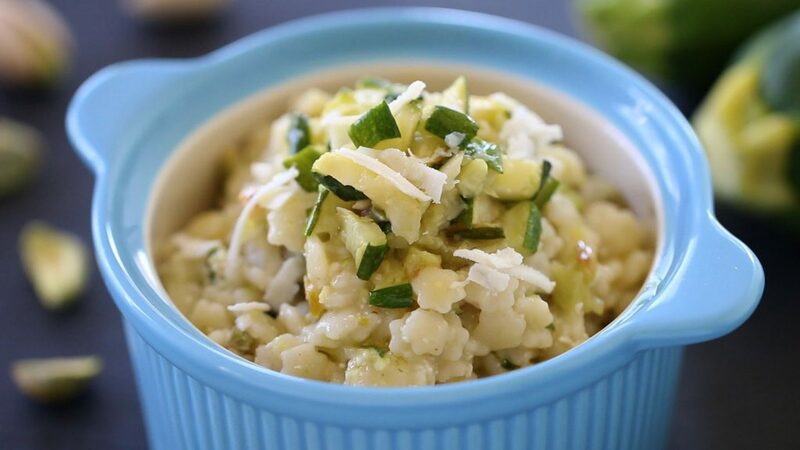 In a bowl/cup add the pasta and one tablespoon of zucchini pesto. 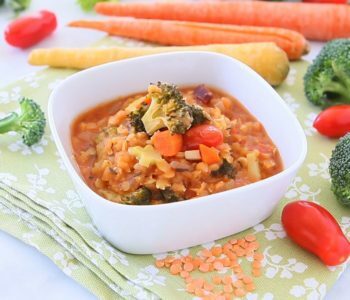 Mix and serve warm to your little one.